Want in on the Galaxy S action but not interested in any features like a front-facing camera or HSPA+? T-Mobile has a deal for you! 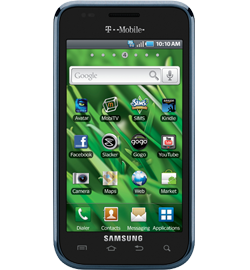 Now until January 26 at 10:00 pm (PT), the Samsung Vibrant is free with a two-year contract, and is only available online. So, if you really can't wait a few more weeks for the Galaxy S 4G, this is probably the time to act.